This entry was posted in Midd Blogosphere and tagged Midd News & Events, Midd Points on November 13, 2018 by Maria Farnsworth. This entry was posted in Midd Blogosphere and tagged Midd Points on September 27, 2018 by Maria Farnsworth. This entry was posted in Midd Blogosphere and tagged Midd News & Events, Midd Points on September 4, 2018 by Maria Farnsworth. Here’s your chance to broaden your horizons and/or develop a new interest! 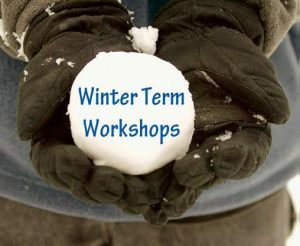 This January is your big opportunity to participate in Winter Term Workshops offered by Student Activities. Be sure to take advantage of this year’s workshops ‐ open to the entire College community ‐ and make the most of Winter Term. Registration begins at 8:00am Sunday, November 19th and ends 8:00am Monday, December 18th. This entry was posted in Midd Blogosphere and tagged Midd News & Events, Midd Points on November 14, 2017 by Maria Farnsworth. This entry was posted in Midd Blogosphere and tagged For Faculty, For Staff, Midd News & Events, Midd Points on September 7, 2017 by Maria Farnsworth. Here’s your chance to broaden your horizons and/or develop a new interest! 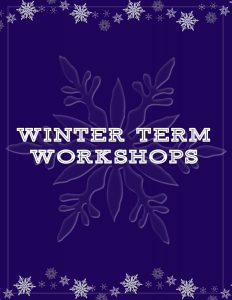 This January is your big opportunity to participate in Winter Term Workshops offered by Student Activities. Be sure to take advantage of this year’s series of non‐credit workshops ‐ open to the entire College community ‐ and make the most of Winter Term. This entry was posted in Midd Blogosphere and tagged Midd News & Events, Midd Points on November 14, 2016 by Maria Farnsworth. DO YOU HAVE A TALENT? WOULD YOU LIKE TO SHARE IT? 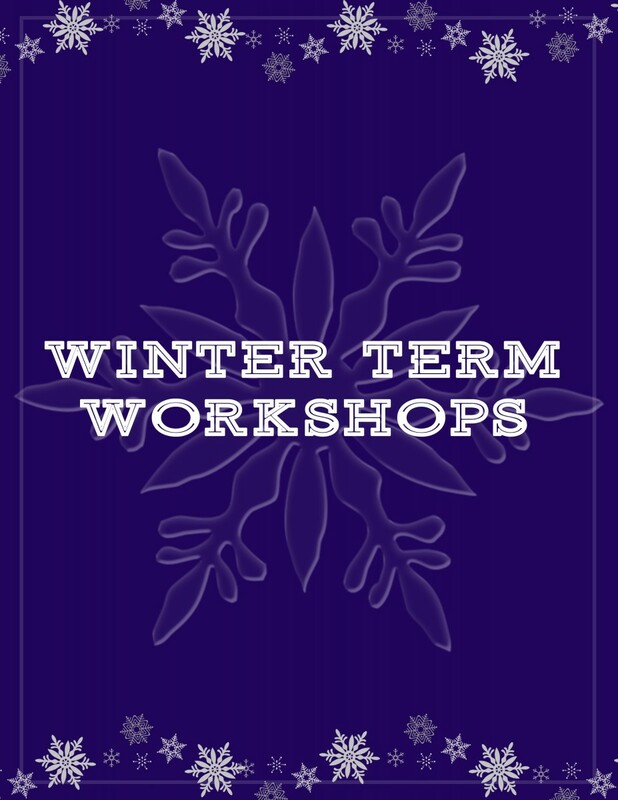 SIGN UP TO TEACH A WINTER TERM WORKSHOP. Winter Term Workshop will run from January 9, 2017 – February 3, 2017. These non-credit workshops are open to the entire College community during Winter Term. DEADLINE for workshop proposals is midnight on Friday, October 7th. Please make sure to use either Internet Explorer or Google Chrome to submit your proposal. Contact Maria Farnsworth in Student Activities at x3156 if you have any questions. Proposal forms can be found at: go/wtwproposal . This entry was posted in Midd Blogosphere and tagged For Faculty, For Staff, MiddPoints on September 14, 2016 by Maria Farnsworth.